Unforgettable views over all of Berlin, creativity and classic craftsmanship, an easygoing professionalism, a Michelin star – that, in a nutshell, describes the unpretentious liaison of Skykitchen and bar at their uncommon location in Berlin. The concept reflects the contrasts and contradictions of the German capital in the interiors, on the menu and in the service. You need a voucher? 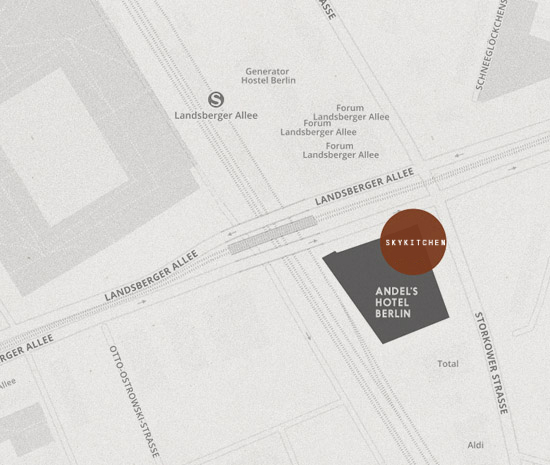 Please send an E-Mail to voucher.andels-berlin@viennahouse.com. When the delicacies of an exquisite breakfast combine with modern interpretations of dinner classics, then breakfast + dinner = brinner. Indulge yourself at Easter with six fantastic courses including wine accompaniment and a glass of champagne as an aperitif. Relaxed, exclusive, from 6 p.m. and with views over all of Berlin. Brinner à la Skykitchen is a spectacular blend of breakfast and dinner. A gourmet experience times two. Michelin-starred chef Alexander Koppe teams up with a different Michelin-starred chef every time to treat you, the late riser and Sunday gourmet, to six fantastic courses. Sweet meets savoury. Flying service meets table d’hôte. The whole thing is topped by an exquisite wine and beverage accompaniment, champagne and homemade pralines. Only on selected Sundays from 3 p.m. to 7 p.m. The way we cook reflects the city we live in: creative, fresh and uncomplicated! The most beautiful part of being a chef is taking the guests on a culinary journey, surprising them and carrying them away. 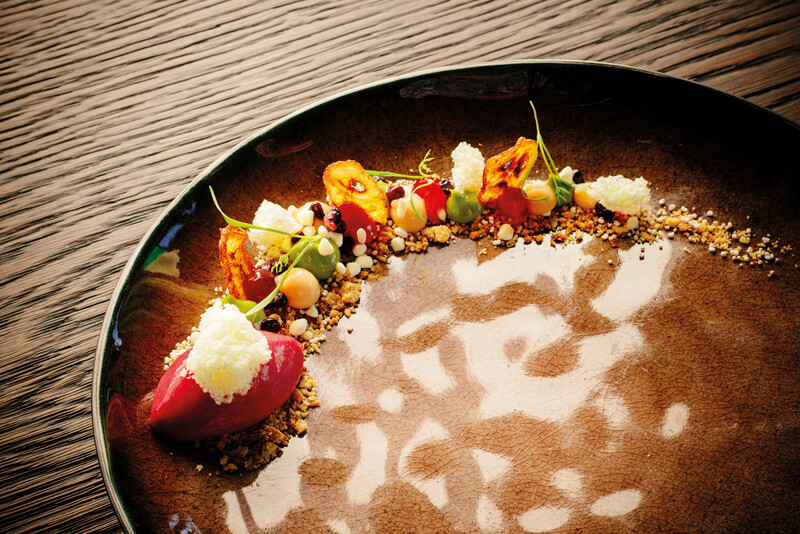 The unique style of chef de cuisine Alexander Koppe, a dyed-in-the-wool Berliner, is defined by sophistication and his classic training with some of Germany’s best chefs. Alexander Koppe focuses on extracting aromas and intensifying the specific tastes that are typical to each food. The result is a modern, cosmopolitan style of cuisine built on a French foundation with Asian influences. 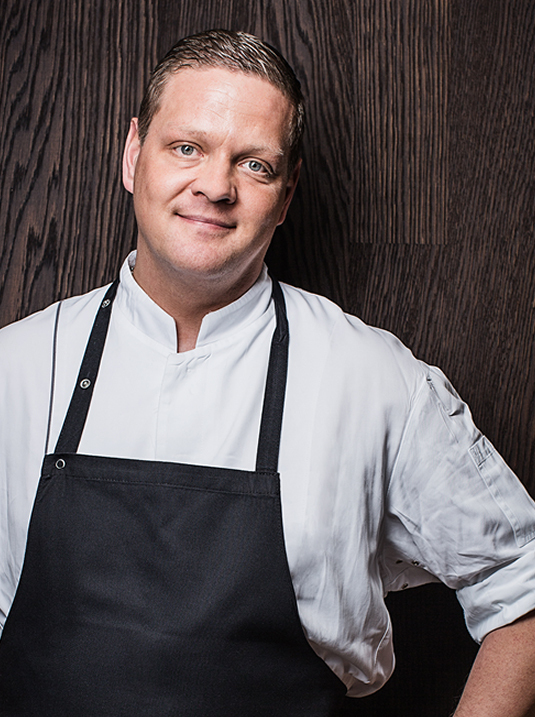 Alexander Koppe has been chef de cuisine of the fine-dining restaurant at Vienna House Andel’s Berlin since 2012. For his outstanding performance, he received his first Michelin star in November 2014 and has successfully defended it ever since. The moment exciting wines and creative cuisine form an intimate bond, the gourmet is lost! Restaurant director Barbara Merll and her team provide perfect, friendly and relaxed service to accompany you through the evening with unparalleled expertise regarding the choice of wines and craft beers. The native of the Saarland region has been maître d’ at the restaurant a.choice since 2012. With her extensive knowledge, expertise and insight, your well-being is her prime concern. 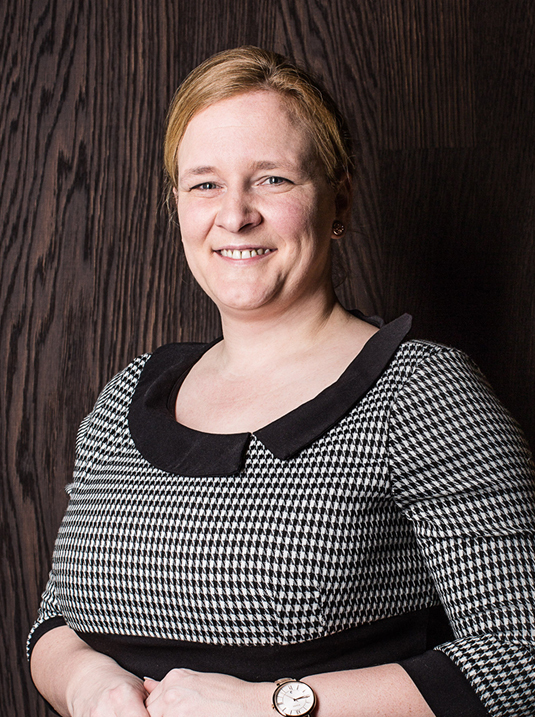 Her professional experience includes the Hotel Adlon Kempinski, MS Deutschland and Restaurant 44. The location is amazing, the view absolutely priceless! Welcome to the Skykitchen on Landsberger Allee in Lichtenberg, directly on the border between Friedrichshain and Prenzlauer Berg, and just a short distance from Alexanderplatz Square.